Anonymous Halloween photographs from c.1875–1955—truly haunting Americana, with a foreword by David Lynch The photographs in Haunted Air provide an extraordinary glimpse into the traditions of this macabre festival from ages past, and form an important document of photographic history. These are the pictures of the dead: family portraits, mementos of the treasured, now unrecognizable, and others. The roots of Halloween lie in the ancient pre–Christian Celtic festival of Samhain, a feast to mark the death of the old year and the birth of the new. It was believed that on this night the veil separating the worlds of the living and the dead grew thin and ruptured, allowing spirits to pass through and walk unseen but not unheard amongst men. The advent of Christianity saw the pagan festival subsumed in All Souls' Day, when across Europe the dead were mourned and venerated. Children and the poor, often masked or in outlandish costume, wandered the night begging "soul cakes" in exchange for prayers, and fires burned to keep malevolent phantoms at bay. From Europe, the haunted tradition would quickly take root and flourish in the fertile soil of the New World. Feeding hungrily on fresh lore, consuming half–remembered tales of its own shadowy origins and rituals, Halloween was reborn in America. The pumpkin supplanted the carved turnip; costumes grew ever stranger, and celebrants both rural and urban seized gleefully on the festival's intoxicating, lawless spirit. For one wild night, the dead stared into the faces of the living, and the living, ghoulishly masked and clad in tattered backwoods baroque, stared back. 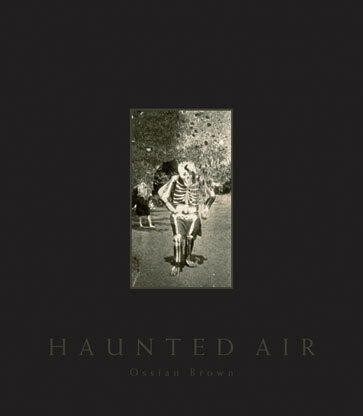 Ossian Brown is an artist, musician, and composer who was a member of the music group Coil, and is a cofounding member of Cyclobe. David Lynch is the author of Catching the Big Fish: Meditation, Consciousness, and Creativity as well as a three–time Oscar–nominated director whose popular and critically acclaimed films include Eraserhead, Wild at Heart, Twin Peaks, Blue Velvet, Mulholland Drive, and Inland Empire. Geoff Cox works in film and is the author of Anna & the Witch's Bottle.